Did you know that it’s illegal to fish while sitting on a giraffe’s neck? What about eating in a building that’s on fire? Or taking your French poodle to the opera? All illegal in the city of Chicago. And while efforts were made to clean up some of these weird and outdated laws in the ‘70s, plenty of them still remain, just begging to be broken. So we did exactly that: we spent an afternoon seeing how many of these stupid laws we could break in one hour. 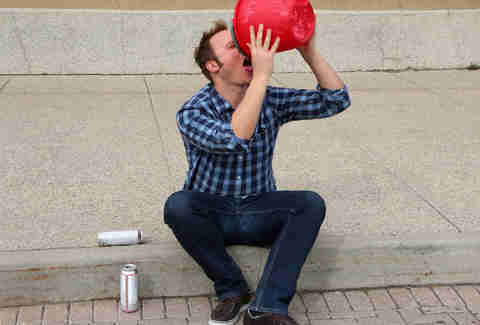 In the Pullman area, it is illegal to drink beer out of a bucket while sitting on the curb. This is our favorite. Law. Ever. While we’re not clear on whether that means literally drinking out of a bucket or just having a bucket next to you, we’re pretty sure we’re breaking at least three laws in this photo (add open container + public consumption). 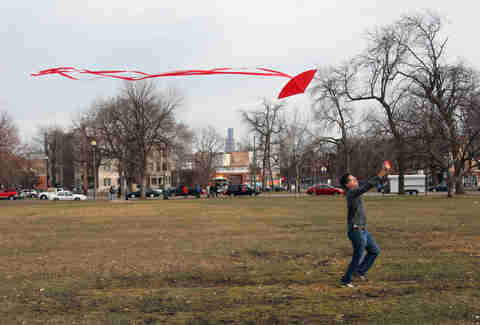 Kites may not be flown within the city limits. We have no idea why this law exists, other than the fact that whoever wrote it must have had a really bad experience with kites and really doesn’t want to talk about it. 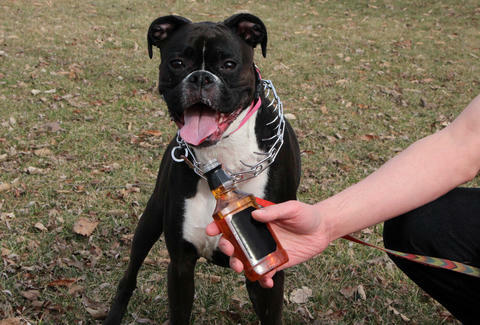 It's illegal to give a dog whiskey. This just seems unfair. 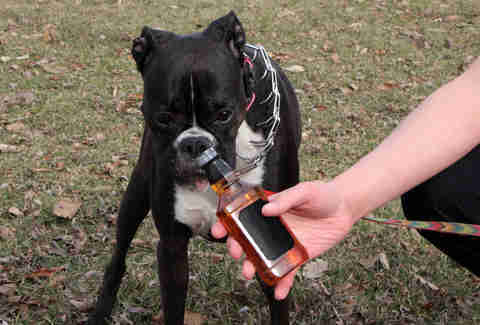 LOOK at how thirsty that poor dog is. It's illegal to fish in men’s pajamas. Is this something we ever thought of doing? Nope. Is this something we TOTALLY want to do now that we know it’s illegal? Yep. 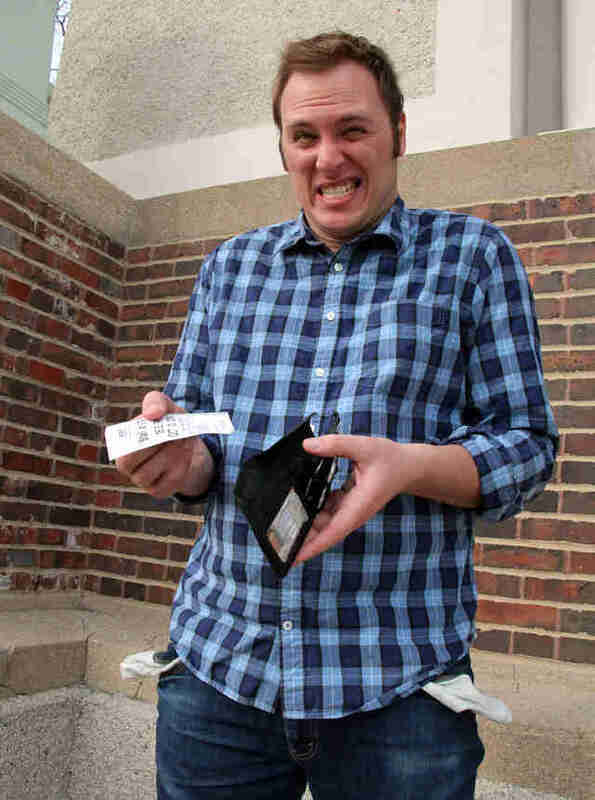 You may be arrested for vagrancy if you do not have at least one dollar bill on your person. Apparently this is an Illinois law, so don’t think you can skirt the po-po by crossing over into Evanston. 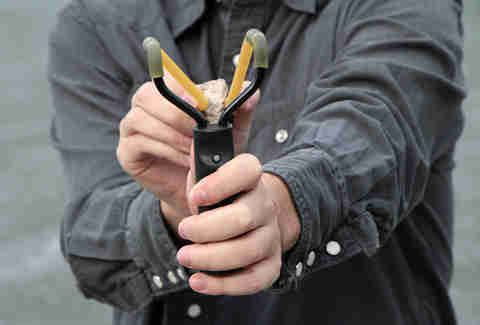 It is illegal for anyone other than a police officer to use a slingshot. Again, we’re seeing a bit of a double standard here. Why should cops get to have all the fun? It's illegal to take a nap on the dance floor. This one actually makes sense to us. This can’t be safe. It's also illegal to dance barefoot, so apparently this innocuous-looking shot is a double dose of naughty in the eyes of the law. Jay Gentile is Thrillist's Chicago Editor and he totally wants to go fishing with you in his pajamas. Let him know when/where you're down on Twitter at @ThrillistChi.